Get ready everyone! Dutch-based tailored clothing powerhouse SuitSupply is branching out into leisure wear. Favored among both millennials and fashionable gents seeking a well-tailored suit at an affordable price, SuitSupply is now offering items for less formal occasions. The new leisure wear collection will go live on the company’s web store on Sunday, October 11 and hits New York stores on Monday, October 12. After that date, a selected group of other US stores in such cities Atlanta, Dallas, Toronto, DC and Chicago will also carry the collection. 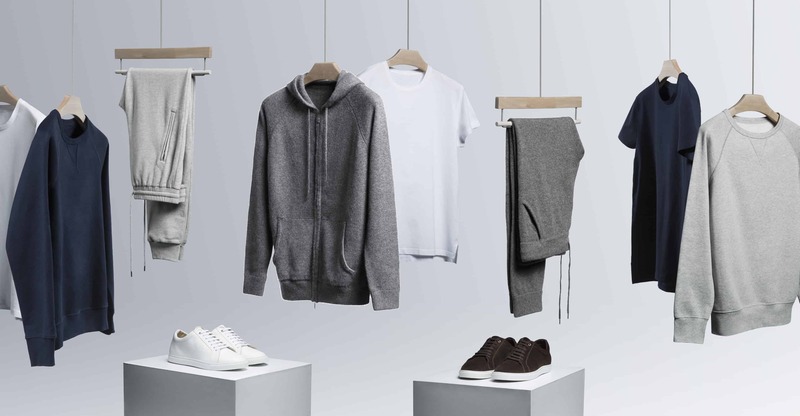 The collection ranges from made in Italy, vegetable-tanned leather sneakers, to 100 percent cashmere track suits. You can also expect to find crewneck sweatshirts, zip-up hoodies, sweatpants, tees, and boxer briefs (with special details) all made from top-quality fabrics.